EcoBlast™ (US Only) - Aquascape, Inc.
Aquascape EcoBlast™ Contact Granular Algaecide eliminates unsightly algae and debris from waterfalls, fountains, streams, and rocks on contact. 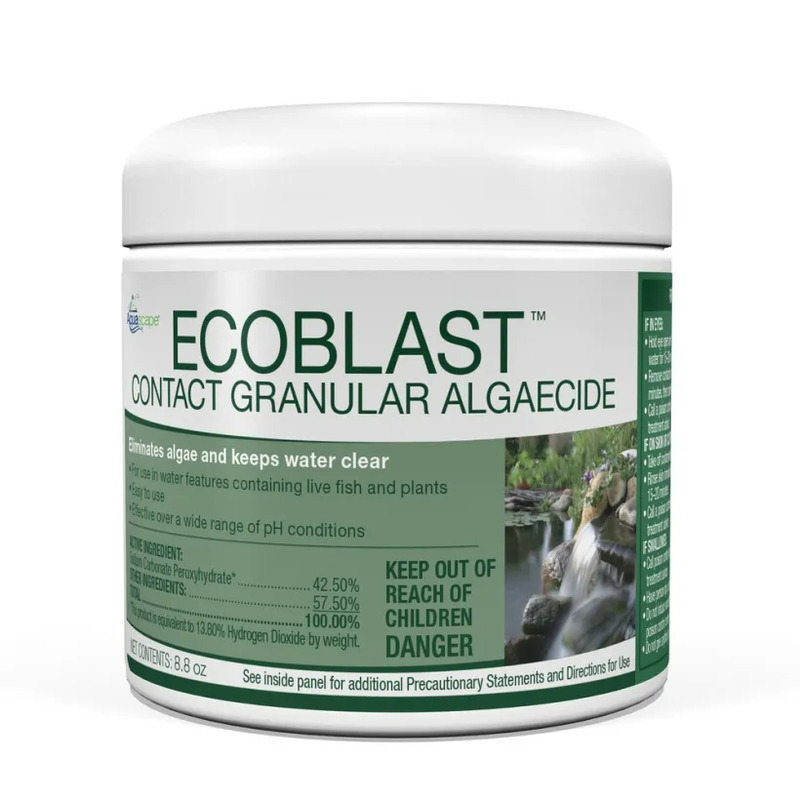 Simply sprinkle the treatment directly on the affected area and watch the algae disappear. 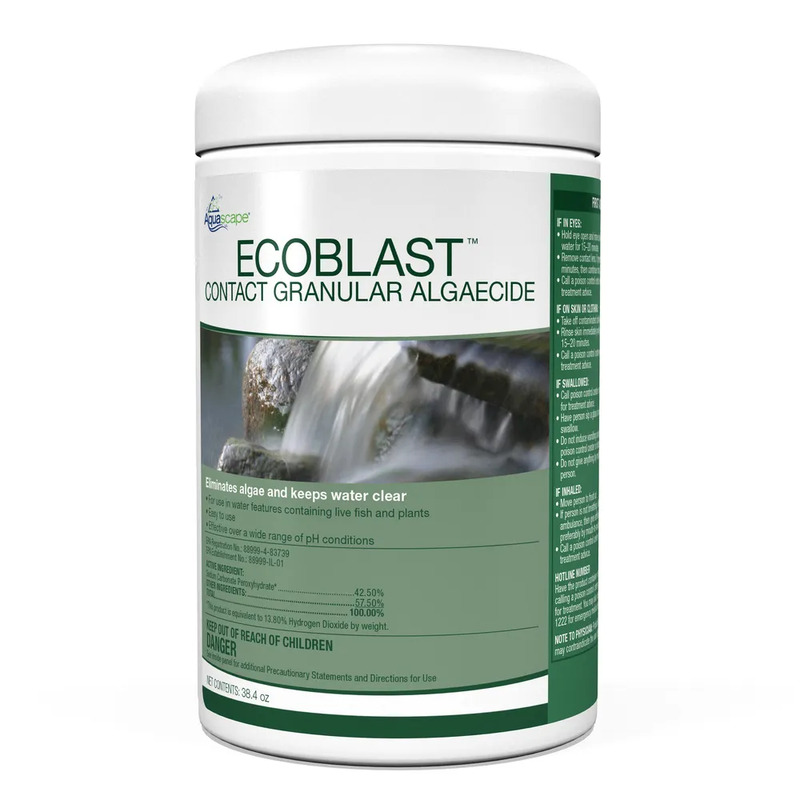 Quickly removing this algae growth will allow you to spend more time enjoying your water feature and less time maintaining it. 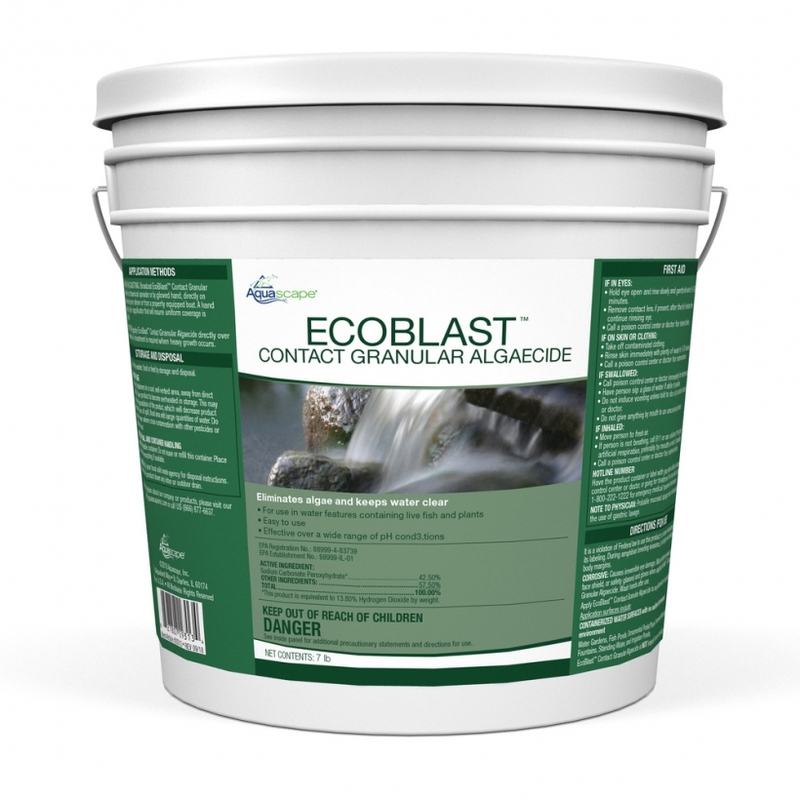 EcoBlast™ Contact Granular Algaecide is able to be used at any water temperature, making it an excellent choice for any time of year. 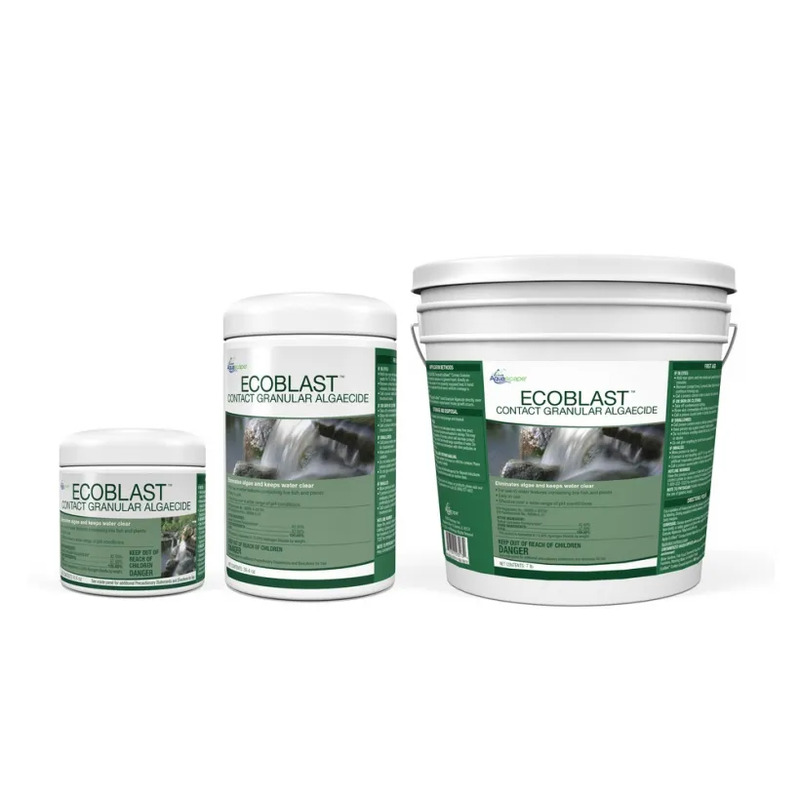 The treatment can also be used with a wide range of pH levels.